Harvesting rainwater is the collection of water directly from the surface(s) it falls on. This water would otherwise have gone directly into the drainage system or been lost through evaporation and transpiration. The collection of rainwater is one of the easiest ways you save water, money and energy. At BSE 3D one of our goals is to assist developers and architects on planning these systems into future builds. Using the knowledge we gain from professionals we can even install within existing developments, homes and businesses. The demand for mains water has increased over the last 30 years by 70% and population growth is a major factor together with a fourfold increase in households. All types of roof material and pitch are taken into consideration from clay tiles to green roofs. 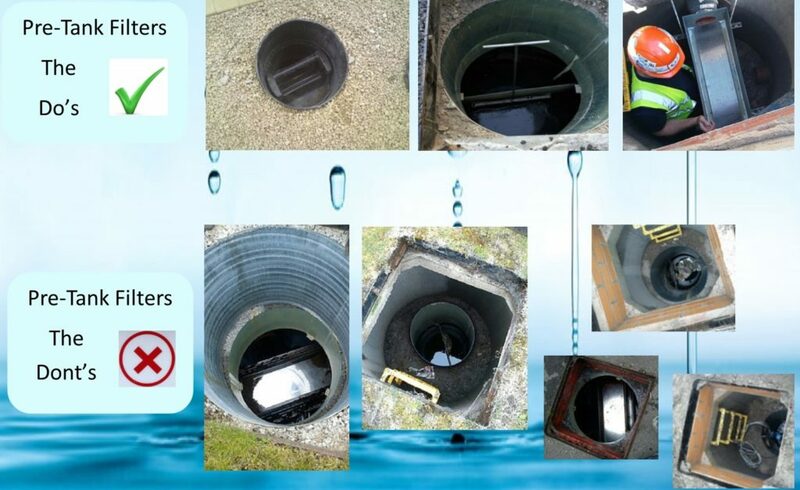 Rainwater storage tanks can be stored either above ground or below ground. Non Pressurised with break tank (either above of below ground) – Gravity feed rainwater is channelled from the roof into the storage tank from a header tank. Combi with above ground tank – Water is stored ready for distribution, allowing mains water top up. Pressurised – Direct feed and no header tank and flows via a pressurisation unit. 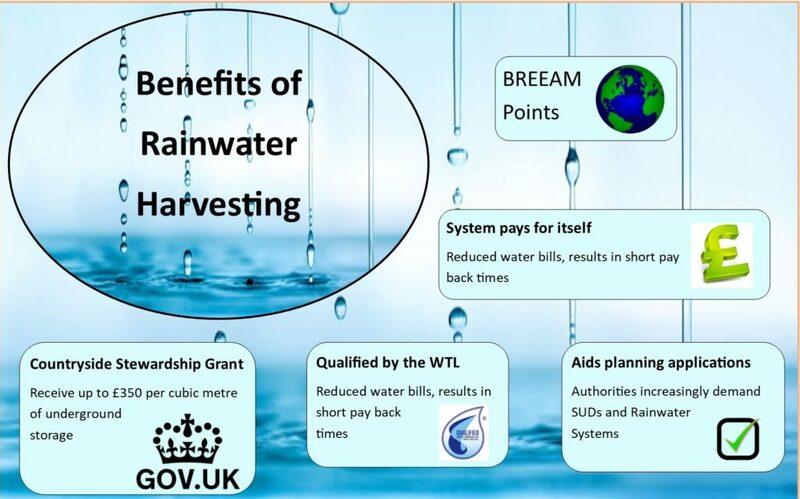 Rainwater harvesting gives us the unique choice to use on many applications from washing the car to waste systems. Maintenance of the system is dependant on the local environment and the hardness of the mains water. When installing any rainwater harvesting system always seek advice from the manufacturer.